The London area is in for a messy mix of snow and freezing drizzle early this week. Monday is expected to see morning flurries and a risk of freezing drizzle. Snow and ice pellets are expected in the region after midnight Monday. Environment Canada said a more concerning weather system will sweep the area on Tuesday. The day is set to start off with a mix of ice pellets and freezing rain. The precipitation will turn back to snow Tuesday night. "That will make for a messy, messy drive," said Ria Alsen, severe weather meteorologist. "I think you can expect some fairly slippery conditions. Any roads or sidewalks that are untreated will be slippery on Tuesday morning." 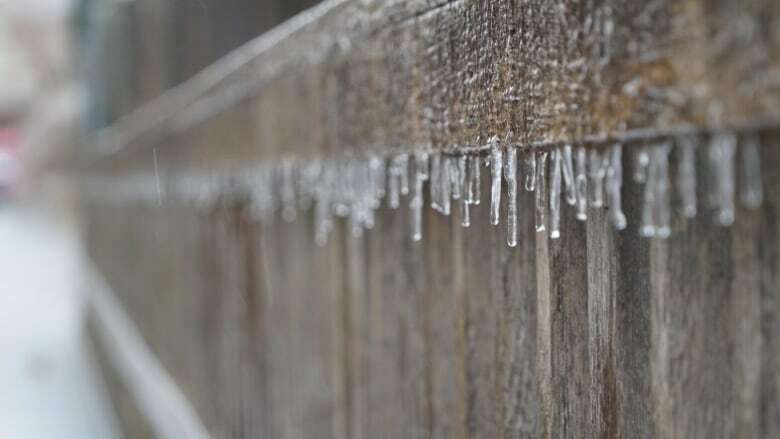 The weather agency issued a statement on Sunday for the London, Strathroy and Middlesex area, warning of Tuesday conditions. Alsen said people should avoid travel on Tuesday or allot extra time for it if needed. She said the weather agency may issue freezing rain warnings depending on the weather. "It's a busy system … it's definitely messy," she said. And don't be fooled by the minus single digits. Though it's warmer than late January weather, wind chill temperatures could drop to –14 C, warns Alsen. Last week, freezing rain forced school closures including Western University. At least 17 collisions were reported during Wednesday's icy commute.